I know we just experienced a "blizzard", it's clearly winter here in the northeast, but i've got warmer days on my mind. 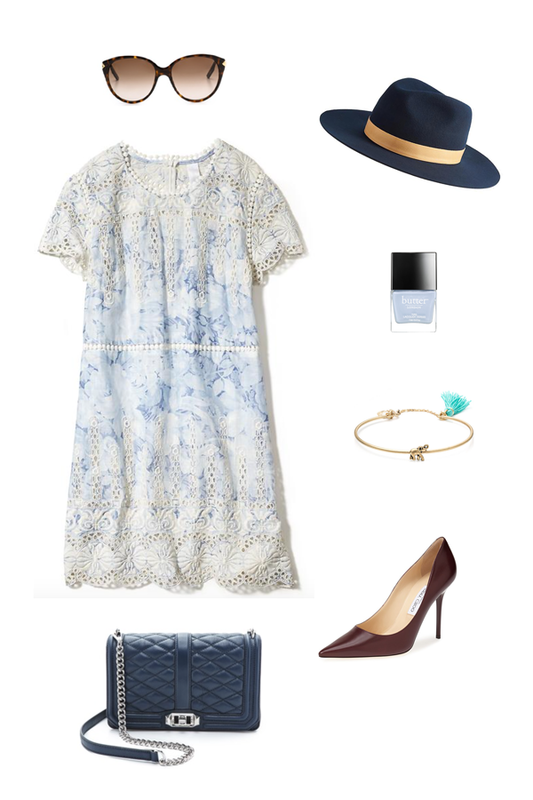 It's hard not to, especially with pretty resort pieces like this Zimmermann dress popping up online and in stores. The pale blues and whites blend right in with all the snow and are soft enough to pass for winter attire, albeit dressed up with some warmer pieces. I would pair it with a navy handbag and hat, berry colored heels, and pale blue nail polish. It's funny that you guys got a blizzard as the Midwest finally had a few warm days. Stay safe and warm! Ah, I absolutely LOVE this dress!! Gorgeous!!! Hope you're staying warm!! That dress is gorgeous! Great find. I have been eyeing that bag for a bit now - such a pretty color blue! You and me both! Love this look!